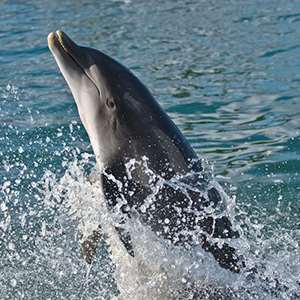 Fly to Bocas Del Toro, a Caribbean archipelago offering lush rainforests and jungle excursions, crystal-clear waters that are perfect for snorkeling or diving the nearby coral reefs, amazing bird-watching opportunities, and much more. Enjoy three nights here to discover these beautiful islands at your own pace. 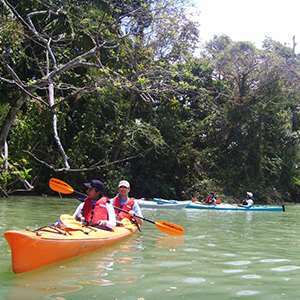 Enjoy two free days to relax and explore Bocas Del Toro. Perhaps take an optional excursion to Bird Island, a small, rocky island in the middle of the ocean that serves as a migratory rest stop for birds traveling from North to South and back again. 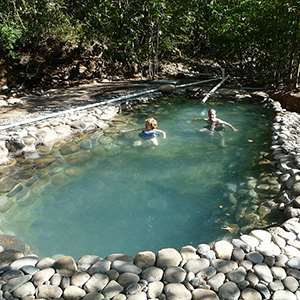 Or, take an excursion to Bastimentos National Park, Panama’s first national park. 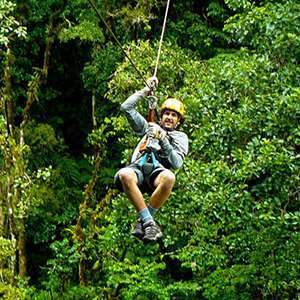 Here you will discover mangroves, lowland forests, rainforests, and lagoons teeming with birds, monkeys, sloths, reptiles, and much more. You will also visit a nearby indigenous community to meet some locals. These are just a sampling of activities during your time here—the choice is yours! 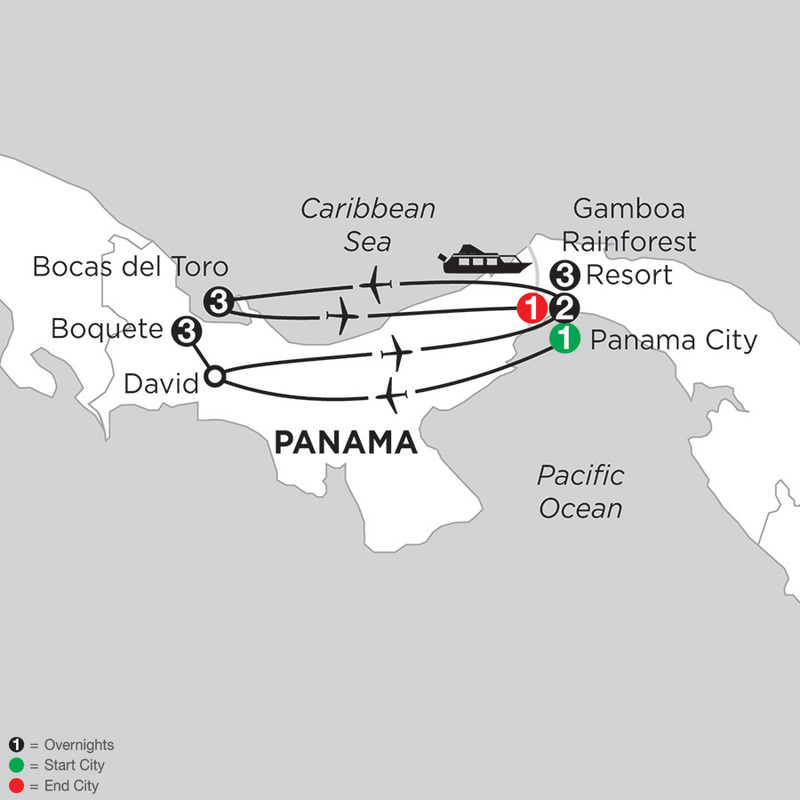 After a morning free to explore some more, transfer to the airport for your flight to Panama City and your final night in Panama. Playa Tortuga, is a fresh new Panama beach resort and hotel featuring a relaxing ambience, tropical golden sand beaches, and friendly welcoming service. Located on a Caribbean Island, Playa Tortuga offers a private beachfront pier to access the nearby island paradise of Bocas del Toro. Playa Tortuga is surrounded by natural beauty, coral reefs, and calm waters ideal for snorkeling. Tropical Suites is a premier boutique hotel, located at the edge of the tranquil Caribbean Ocean in Bocas del Toro, Panama. This hotel sits just far enough away from all the movement of the town center for you to relax and unwind in modern comfort. Each suite offers a large open living area with a fully equipped kitchen & spacious, jacuzzi bathrooms. 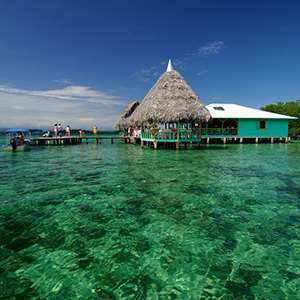 Tropical Suites is a premier boutique hotel at the edge of the tranquil Caribbean Sea in Bocas del Toro. 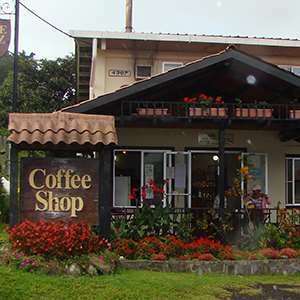 The hotel is just a minute's walk away from restaurants, cafés, and more on the island of Isla Colon. Take a boat ride through the Bastimentos National Marine Park to Zapatilla Island where you have time for snorkeling. 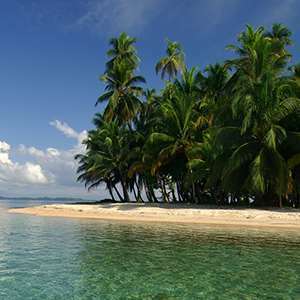 Visit Bocas del Drago and its beautiful beach which offers fantastic snorkeling. 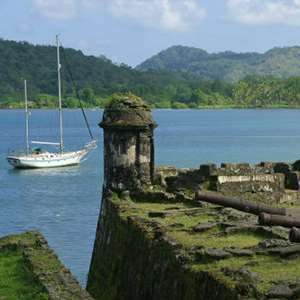 From Bocas del Drago, cruise to Bird Island situated just off the northern coast of Isla Colon. 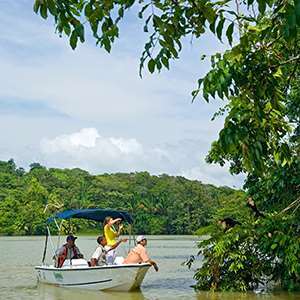 Cruise around this island which serves as a very important nesting/resting site for several bird species that migrate between North and South America. Spend an extraordinary day exploring the beautiful archipelago of Bocas Del Toro with visits to nearby islands, reefs, and beaches.